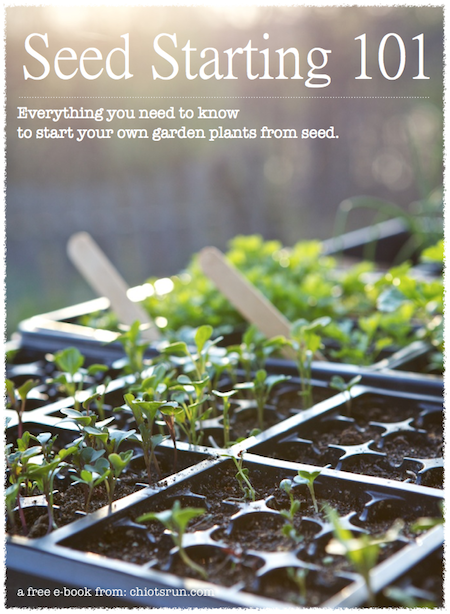 Starting plants from seed is a great way for gardeners to take their hobby to the next level. There’s something incredibly satisfying about seeing a plant blooming in the garden or harvesting a vegetable that you started from a tiny seed. Seed starting can also save you a lot of money, providing you don’t spend too much on expensive light set-ups and other equipment. A pack of seeds ranges from 50 cents to a few dollars. From each of these seed packets you can get a large number of plants. It also doesn’t hurt as much when one of them doesn’t survive the winter or languishes in the conditions in your garden. I feel terrible if I lose a $15 plant, but one I started from a pack of seeds I paid $1 doesn’t hit me quite as hard. Another great reason to start seeds is the variety of plants you can get that you can’t find at your local nursery. There are so many seed companies out there that offer so many wonderful things, especially when it comes to vegetables. When you start your own plants from seed you also know exactly how that little seedling has been treated. If you’re an organic grower and strive to have a chemical free garden, then you pretty much have to start from seed. My local greenhouse offers a great variety of interesting plants, including heirloom vegetables, but I know they’re not organic and those little plants are covered with chemical fertilizers and pesticides. Often the ones you start at home are much stronger because they have been treating with love and care. There are so many reasons to start your plants from seed. I love growing interesting plants, especially vegetables, this is why I start most of my plants from seed. I also strive to achieve a completely organic garden so I don’t like buying plants from the nursery, especially when it comes to food plants. Saving money a nice bonus that can’t be overlooked. It would cost me a fortune to buy all the plants I like to grow, especially annuals. Why do you start your own seeds or why do you want to start growing from seed? I bought very little plants this year, really only tomatoes, cantaloupe, and watermelon. I started my greenbeans, corn, peas, lettuce, carrots, parsnips, herbs, and okra from seed. My goal next year is to grow everything from seed. I’m just like you. I love the idea of seeing something edible grow out of a tiny seed which just requires soil, water and sunshine (plus a little tlc of course!). I also like to collect seed from the mature plants each year which is a bit hit and miss but always gratifying if it works. I have some runner bean seeds which were given to me by a very dear friend, who sadly died in the year he passed on the seeds. He’d been growing them since 1971. To think I’m still growing them 39 years later gives me huge satisfaction. I have not started my own plants from seed (except the ones that get planted directly into the garden). I felt I didn’t have time or the right space. Perhaps next year I will give a few plants a try. I will be reading to see how it is done. I start from seed because that’s the only way I know how to garden. The first time I ever had a nursery plant was 2yrs ago when my MiL picked up some leaf lettuce. I can’t imagine spending several dollars for a few plants when I can spend several dollars for, hypothetically, dozens of plants. Every year I say to myself that, if my seeds don’t produce or the seedlings die somehow, I’ll have the nursery plants to fall back on… but I’ve never actually done that. 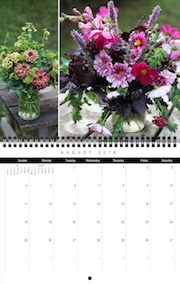 .-= Kelly´s last blog ..Garden Update 2.12 =-. We start seeds for two reasons…to save money and to get the varities of plants we want…. .-= warren´s last blog ..All hot and steamy this weekend =-. I use seeds because I grow what I want – not what’s available at the nursery. I also get way more bang for my buck. If I experiment with a variety and it doesn’t work out, I’m only out about $1.50 – $2.50. There’s an incredible network out there of gardeners to exchange seeds with. .-= MAYBELLINE´s last blog ..Lavender Wands =-. Probably my number one reason for starting from seed is the option of varieties and selection, but cost is right up there too! Plus I can have more control over when I plant because I can start seeds when I want, not when the local nursery gets a truck load of veggie starts in stock. But all practicalities aside, I just love the feeling of being involved in the process from start to finish. I was able to some seeds from last year and used a few as seed starts this year. .-= Amy @ Homestead Revival´s last blog ..Food and Faith Challenge: Time =-. I use a combination of seeds and nursery plants. I think it’s my lack of complete confidence in myself to keep indoor plants alive for very long that keeps me buying those nursery plants as back-up. That, plus the fact that I find the tomato seed packets a little confusing. When I buy the plants, the tag clearly states VFN, or whatever else the tomato is resistant to. I was checking the tomato seed packets this year and saw no such helpful coding on the seed packets to help me decide which tomatoes to buy. Anyone else have this problem? I don’t usually worry about disease resistance or any of that stuff. I like to grow heirlooms and usually that info isn’t available for them. I grow what sounds interesting and try to have a great variety of plants in the garden to combat disease & insets problems. I’ve found that the longer I garden organically (without any treatment, even “organic” treatments) the fewer problems I have with insect & disease damage to plants. I understand what you mean when you say it’s easier to lose a cheap plant grown from seed than a $15 store bought one. However, I find it harder to lose seed grown plants because I’ve invested so much time in them. Some seed grown perennials take over a year to bloom for the first time, so it’s heartbreaking when you go out and find that a rabbit has turned your project into dinner! I like seed starting because of the ability to select varieties — I am really big on picking things that are OP and suited to my region. However, I have discovered that I like seed sowing straight to ground rather than seed starting as my seed starts did little more than sprout. As a first-timer, I figure this is due to my technique so I am looking forward to this series. Thanks! i mainly start with seeds because it’s so much less $! so far so good on all of them…. i agree, it’s definitely rewarding to watch them grow! Our gardening season feels so short here in NE Ohio so there is really something magical about seeing all those little green babies grow when it’s still so cold and dreary outside. I also love having so many plants that I can share with family and friends – something I could never do if I was buying each plant at the nursery. It feels like I’m giving them something special – knowing it will feed them and their families. Cost is a huge factor for us when it comes to starting seeds. I don’t think we would ever be able to afford to garden if we had to buy plants someone else started. .-= mamaraby´s last blog ..Folk Music Fridays – “May We All Get Back Home” =-.